Current Subscription includes Issues 17-20. 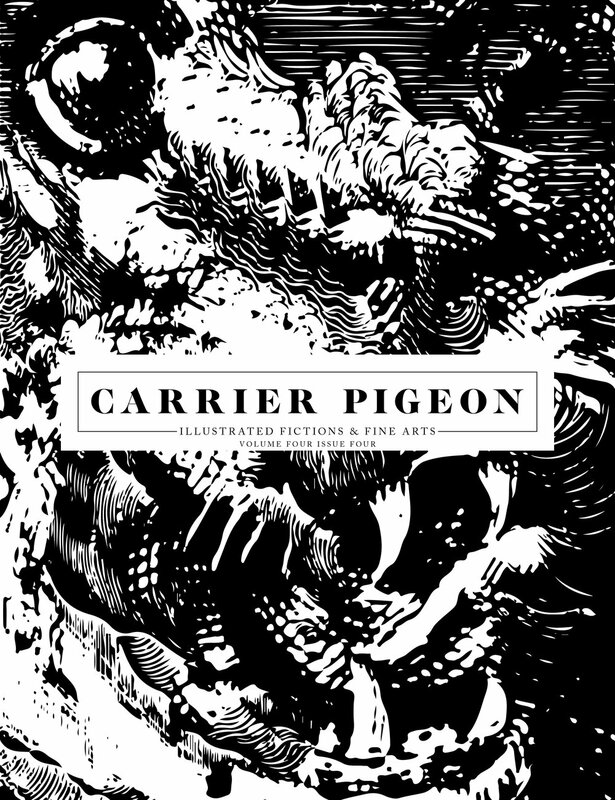 Every issue of Carrier Pigeon is composed of 6 illustrated stories that are separated by 6 fine art portfolios. We work with a different graphic designer on each edition and allow them to reinvent the identity and layout from scratch. We encourage collaboration between the contributors of the magazine to create concepts that go outside the standard book form and work with artists to create original, limited-edition, handmade, fine-art objects that are included inside. Print run of 1000 copies per issue. PLEASE NOTE: This price includes the average shipping costs for the additional 3 magazines after 1st issue is sent.